Jesy Nelson has spoken about her relationship in a new interview amid reports that she has split from her fiance. The Little Mix star sparked rumours she had split from beau Jake Roche last week after she unfollowed the Rixton musician on Instagram, and reports of a heated argument between the pair. In an interview with magazine Idolator which took place a few days before the rumours emerged, Jesy spoke about the group's new album Glory Days, and her wedding plans to her fiance of 16 months. 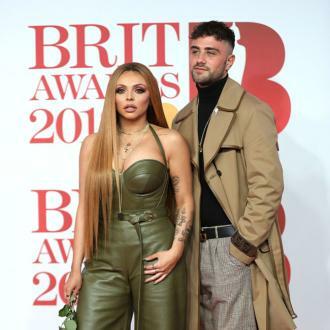 Jesy opened up about her relationship admitting she and Jake were in "no rush" to tie the knot and explained that her fiance proposed because he didn't feel that calling her his "girlfriend" adequately described their relationship. "Yes. It’s funny, because when my fiance (Jake) proposed to me, he’d never done it like, 'We’re getting married tomorrow.' He felt like when he called me his girlfriend, it wasn’t enough," she explained to the publication when asked if she was tired of people asking when is she getting married. "He felt like it really undermined our relationship, and he loved the fact that — I don’t know, he loved the fact that he can say I’m his fiance instead of just his girlfriend, and I love that. I think that’s really sweet." The 25-year-old and Jake, 24, have both remained silent about the break-up speculation, and the Black Magic singer also confirmed that while they are very much in love, the young musicians have no immediate plans to wed.
"We’re in no rush. We want to travel the world together. There’s so much we want to do together, and at the moment, we’re so focused on our own careers that there just isn’t time," Jesy admitted. "We’re literally in no rush. I think when we know, we’ll know, and we’ll do it, and (it will) probably be really intimate, hardly any people there. We’re very much in love, and we’ll do it when we feel the time is right."